A central issue in the drama of human existence is that of forgiveness. From birth to death we struggle with forgiving and being forgiven. In fact, our relationships are defined and controlled by our capacity to offer and receive grace. And likewise, our relationship with God is constantly defined and redefined by our sense of how and when God forgives, as well as how and when we forgive. We first learn of grace and judgment from our immediate families. Parental actions, attitudes, and teachings have a lot to do with what we believe about forgiveness, guilt, grace, and judgment. The family of God adds strength and dimension to our learning about God, grace, and right living. The Scriptures we study—along with the way the community of faith receives, nurtures, and forgives us—have a lot to do with how we understand the idea of forgiveness. From birth we have been purposed by God for belonging and fellowship. Initially placed into human families, we are next introduced to the family of God. The issues of belonging and being accepted reflect not only the nature of God, but also some of the deepest needs in our lives. Besides, separation from love is not traumatic just for infants and children. We all wish to be vitally connected in love to a significant other; fear of separation or rejection is painfully isolating and destructive. The interruption or isolation that comes from broken relationships is particularly painful. Forgiveness is a central issue in our capacity to remain redemptively connected to those relationships we prize. Restoring broken or interrupted relationships is a primary issue for all of us, and managing forgiveness is crucial to the possibility of experiencing reconciliation. Several dimensions of forgiveness affect our lives in significant ways. In the four sessions that follow, we attempt to address a few of those important issues. In the first session we will discuss our struggle to manage negative feelings toward the Creator. 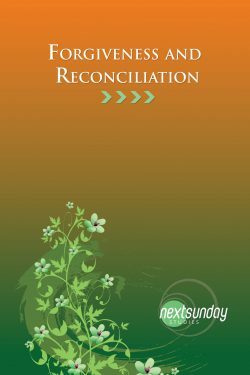 The second session, on the other hand, focuses on the challenge of forgiving ourselves, another major component of reconciliation. Next, the third session raises questions about how and why we go about restoring and reconciling relationships with others at all. And last, our final session calls us to focus on the process and meaning of being forgiven, including how grace frees us to live out God’s highest purposes again.